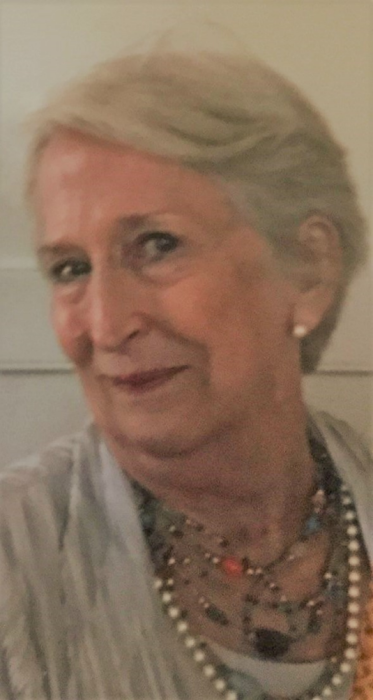 Jean was born in Florence, Alabama on April 4, 1943 and passed away on February 8, 2019 in her beloved city of New Orleans after a battle with cancer. Jean, loving daughter of Helen M. and James H. McIntosh, Sr. (both deceased), had three siblings to include H. Katherine “Katie” McDonald (Marietta, GA), James “Jim” H. McIntosh, Jr. (deceased) and John W. McIntosh (Atlanta, GA). In addition to her parents and her brother Jim, she was also predeceased by a nephew John McDonald, III (Florence, AL) and a niece, Melanie McIntosh (Florence, AL). Jean is survived by her sister Katie’s children to include Andrew McDonald, Sr. (wife Brenner) of Nashville, TN and his children Alice and Andrew, Jr., David McDonald (Marietta, GA), Paul McDonald (Lancaster, PA) and Joseph McDonald (Florence, AL); her brother Jim and Cornelia McIntosh’s children to include Ladd McIntosh (wife Lynne) of Roswell, GA and their children Meredith, Matthew (wife Sara) and Mark McIntosh; Douglas McIntosh (wife Lori) of Lakeland, FL and Alan McIntosh (Florence, AL); and her brother John’s children Ingrid (daughter Brynn), Matthew and Golson McIntosh. Jean enriched the lives of her large family, many friends and co-workers. Jean graduated from Sweetbriar College in 1965, spent a year in France studying abroad and began her professional career in Nashville, TN. She relocated to New Orleans, LA in 1972 and brought her talents to the Times Picayune where she was employed for 36 years until she retired in 2008. She was an artist and was recognized as a major contributor and flourished in her role as Director of the Art Department. Jean loved a Mardi Gras parade and was involved with THOTH by starting the parade in front of her home each year and hosting throngs celebrating Mardi Gras. Jean had a passion for wonderful food and enjoyed the many fabulous restaurants in the world’s greatest place to dine. She cherished her life with her dogs, cat and the many family and friends who came to visit and to enjoy Jean’s company. The family acknowledges Jean’s many friends and their contributions to her life with special accolades to Father Watson Lamb and Price Mounger, Esq. A special thank you to Cecil Williamson who tirelessly cared for her dear friend in her final days. The family also wishes to thank her final caregivers in New Orleans to include Jan Sullivan FNPC, Scott Sonnier MD, the staff and associated physicians at Touro Infirmary, Lakeside Hospice, Home Care Solutions and Lambeth House. A visitation and service will be held on Friday February 15, 2019 at 1pm (visitation at 11:30am) at The Chapel of the Holy Spirit, 1100 Broadway Street, New Orleans, LA 70118 with a private celebration of her life to follow. A memorial will also be held in Florence, AL to be scheduled on a date to be determined. In lieu of flowers, the family has asked that donations be made to The Chapel of the Holy Spirit. JACOB SCHOEN & SON in charge of the arrangements.